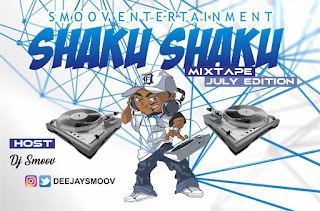 Super star DJ Smoov Releases the Long anticipate Mixtape titled Return of Shaku shaku. Return of Shaku shaku by DJ Smoov is the Mixtape for your playlist. DJ Smoov, the hot banger Disk Jokey from South East Nigeria unveils the hottest mistape for his fans and Artist. Return of Shaku shaku mix features hot songs and and artists. Update your playlist with this hot mix.